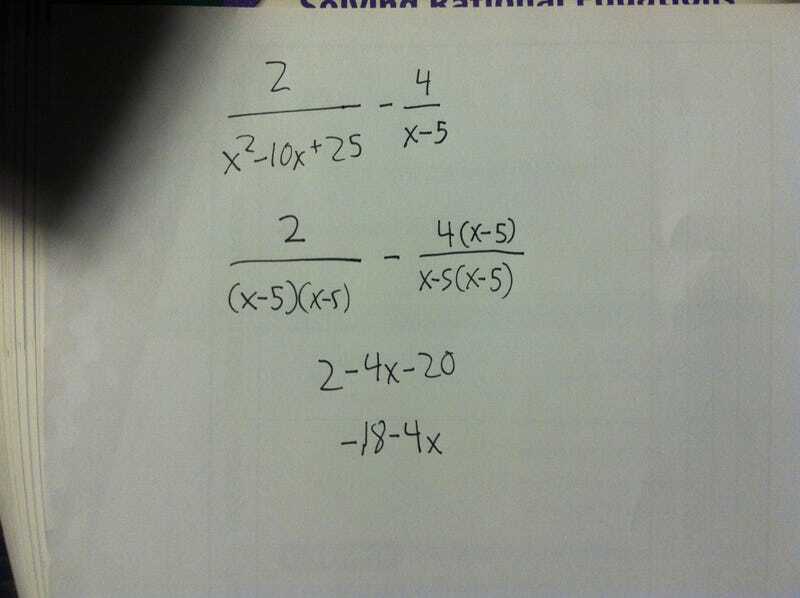 First you have to factor x^2-10x+25 and I got (x-5)(x-5). Next to subtract you have to get a common denominator (my teacher says that once you get a common denominator, you can basically "get rid" of the denominator.). Then you have to make everything equivalent, so I did. Then you combine like terms, and I got -18-4x.